We booked our Accommodation through Booking.com. We stayed in the Apartamentos Lido in Ibiza Town in May 2017 for a short, 3night city break on a self-catering basis.For our hotel we paid £172 in total. We stayed in a relatively residential area, however there were couple of hotels and few seaside restaurants and cafes near by stretching next to the beach. Overall we loved the location as everything seemed in a walking distance e.g. grocery store (Lidl), McDonald’s, beach, restaurants, hospital and town centre. Apartment was cosy and tidy. 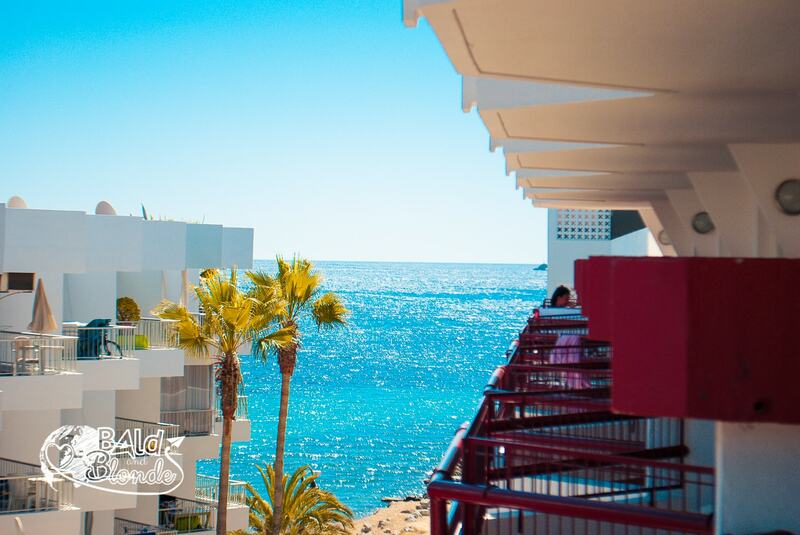 We loved the view of the beach from our balcony, the only negative thing for our apartment was that we could hear outside traffic in our bedroom during the night and through ventilation system in our bathroom we could hear or neighbours in their apartment. For those who like their TV, there was not a big variety of channels available. Check a video below of our apartment.